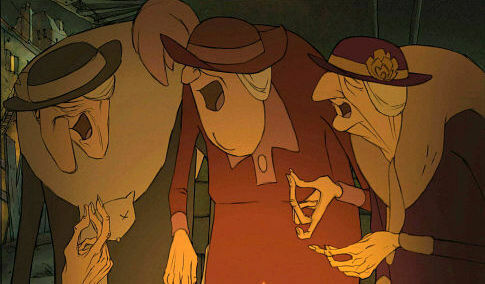 In the three years that the film club has been running we have never shown an animated film. Not everybody likes animation and it is traditionally thought of as a children's medium which can be loud and brash and unsubtle. But animation has undoubtedly given us some of the greatest experiences in cinema from the Warner Brothers cartoons of the 1940s, Disney's many classics and the brilliant work done by Pixar in the last 20 years. Animation has been dominated by America since its inception in the 1920s but every now and again a masterpiece appears from elsewhere in the world. This is just such a film. 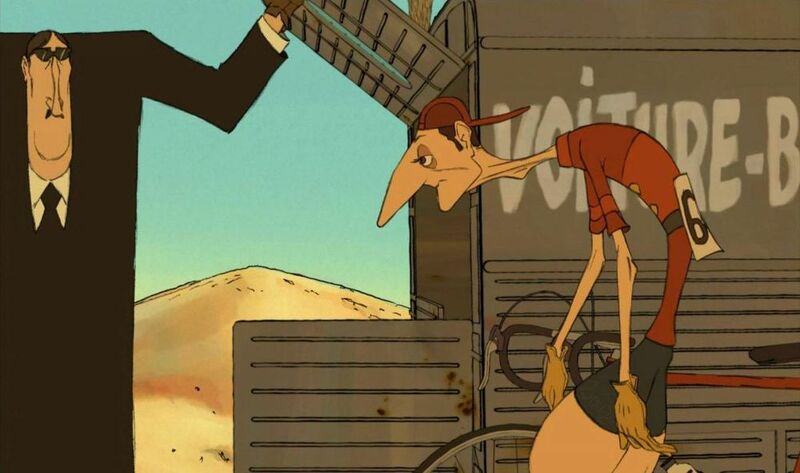 The Triplets Of Belleville is a gorgeous slice of gallic weirdness with a fantastic musical score that references Django Reinhardt, Fred Astaire and Josephine Baker. It tells the story of a champion road cyclist, his grandmother and their dog and what happens when he is kidnapped by mobsters and taken to America. 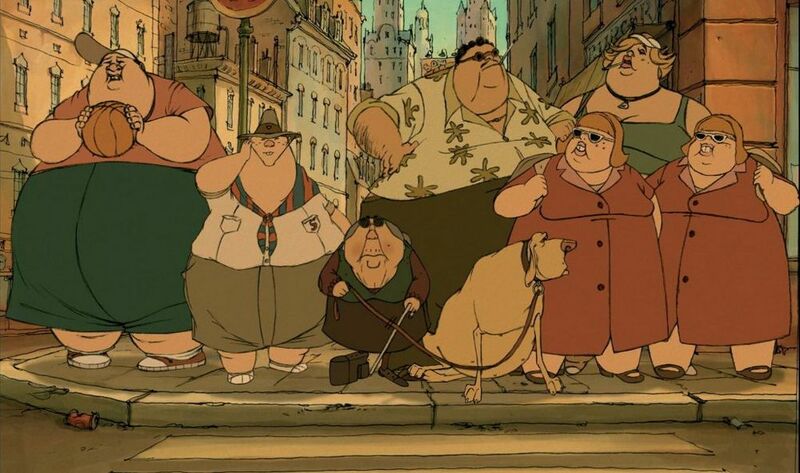 If it sounds crazy that's because it is...Sylvain Chomet's animation style is unique - very French with a fantastic retro look and numerous nods to Jaques Tati along the way. 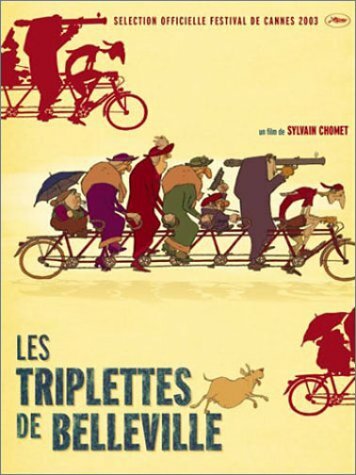 The Triplets Of Belleville will have your toes tapping and put a smile on your face. Don't miss it. November 12, 2012 by Lucas Jones.